23 to 25 March 2014 will see ProWein 2014 open its doors again in Düsseldorf. Some 4,700 exhibitors from 50 countries will be presenting wines and spirits from throughout the world. The comprehensive ranges on display will be complemented by an equally diverse programme of events. It all started 20 years ago, and today ProWein is billed by organizers’ as the world’s leading trade fair for business with international wines and spirits. In any case, the number of exhibitors is 15 times higher than at the first event, 30 times more visitors come to the fair, the number of participating countries is 6 times higher, the occupied space 18 times larger. Just compare this year’s upcoming event with news from the first press release. In spite of the cheesy song commemorating the anniversary – HERE – Düsseldorf comes alive with wine in late March, with a festive and fun ambiance. Well worth the experience for anyone working in the wine industry or industries related to it. Click on THIS LINK for a very informative video on the event. From guided introductions to the new vintages and background information on particular grape varieties, wine-growing regions and styles to forecasts about future wine markets and trends – the spectrum of events accompanying ProWein is wide and varied. The line-up of speakers includes award-winning sommeliers, international expert journalists as well as leading specialists in the sector. Most of the over 300 tastings and lectures organised by exhibitors will take place right at the exhibition stands; in addition to this, the ProWein Forum in Hall 7.1 will be serving up a varied programme. 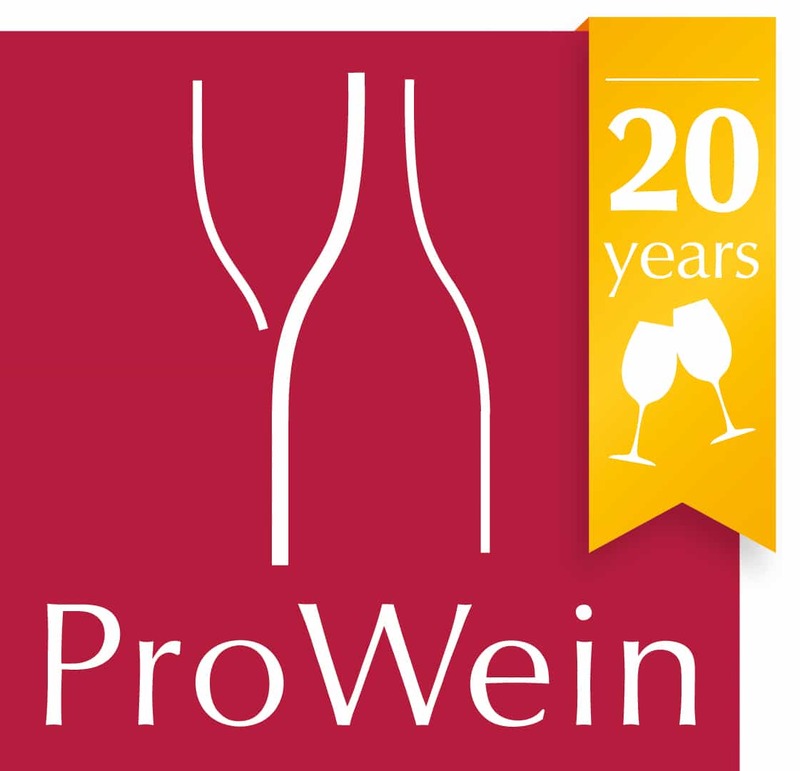 In line with the anniversary of ProWein the German Wine Institute (DWI) will extend an invitation to a tasting entitled “20 Years of ProWein – 20 German Vintages” hosted by Stuart Pigott. At the same location best-practice examples and successful retail concepts will be centre stage later on in the seminar organised by the German trade magazine “Wein + Markt”. In themed tastings numerous exhibitors will shed light on the country-specific characteristics of their wines and spirits. For instance, Shigekazu Misawa from multiple award-winning wine estate Grace, who will present the tradition-rich Koshu wine for the first time at ProWein or the California Wine Institute inviting visitors to a “California Road Trip”. Generally valid principles for such questions as wine and food matches or blind tastings will be explained at the seminars organised by the “Wine & Spirit Education Trust (WSET)”, for example. Wine prices, on the other hand, will be in the foreground at the events of USA Wine West, LLC (“Wine Exports to the United States: How much do your 3-Euro Wines cost for US Consumers?) and at the Italian ICE Institute (wines in the EUR 10.00 price range and above). There are also interesting offers in the spirits segment: under the heading “Stirred – Not Shaken” the distillery Hubertus Vallendar will present so-called Signature Drinks, which were specifically created for – and with – this company’s own distillates while Distillerie Tessendier & Fils invites visitors to mix their own drinks in a creative Cocktail Workshop. A glance into the future will be provided by “Vision 2034”, the panel discussion organised by ProWein and the British market research institute Wine Intelligence. Discussions will focus on five theses on the development of the wine sector through to 2034. Those theses resulted from a global market survey that ProWein commissioned on the occasion of its 20th anniversary. Another seminar also held by Wine Intelligence later that same day will discuss growth potential in 2014. ProWein exhibitors have numerous award-winning wines and spirits in their portfolios but there will also be several award-giving ceremonies right at the exhibition centre. Among others, the DWI will honour Germany’s “Best Wine Gastronomies”. A highlight boasting international flair is the grand finale of the Winestars World contest, held on Monday at the ProWein-Forum. Here high-calibre buyers from various countries will judge the submitted international wines live and select potential suppliers. As a complement to the many exhibitor events, ProWein also offers several Special Shows definitely worth a visit: the central Tasting Zone in Hall 2 organised in cooperation with the trade magazine “Weinwirtschaft” from the Meininger publishing house will this year come under the heading “Premium Wines” while the FIZZZ-Lounge in the spirits hall 7a will present high-octane “Garden Drinks” (combining spirits with fresh vegetable juices). In Hall 7.1 the Special Show “wine’s best friends” will again focalise high-end fine foods that form a special complement to wines and spirits. Both specialist retailers and restaurateurs will find valuable inspirations here.